David Jones, manager of the Aberdeen UK Tracker Trust plc, previews the next round of FTSE UK index changes, due on the 3 June. This quarter’s FTSE All Share reshuffle is likely to reflect the impact of the surprise General Election result in May, with house builders firmly in the ascendancy, and utilities and government outsourcing groups getting a reprieve. Equally, many of the new IPOs continue to go from strength from strength on the back of improving consumer spending trends. However, even the recent recovery in the oil price is unlikely to save companies from the beleaguered commodities sector, a number of which are faced with demotion. The FTSE UK index series announces the results of its annual rebalancing at the close on 3 June, with the changes becoming effective at the close on 19 June. The index changes are likely to reflect the market’s recent preference for large, well-capitalised, dividend-generative stocks over more economically-sensitive companies, such as the engineers or mining companies. Following Tullow Oil’s relegation from the FTSE 100 last quarter, Aggreko is now edging towards demotion to the FTSE 250. Specialist engineering group Meggitt may also join the relegation list. 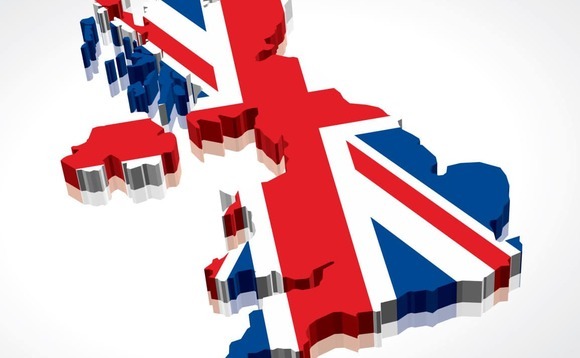 Among the FTSE 250 constituents, RPS Group, De La Rue, BlackRock World Mining Trust and Infinis Energy also look vulnerable to demotion to the FTSE Smallcap index. The weakness in these industries has created a space for others to flourish: The house builders, for example, had been weak prior to the election on the prospect of greater regulation and potential weakness in the housing market. They have surged since the Conservatives were returned to power. Berkeley is up over 20% from its April lows and will retain its position on the reserve list for entry into the FTSE 100. Its promotion would leave four house builders in the FTSE 100, after Barratt Developments and Taylor Wimpey joined the index in December. Central London developer Derwent London may also be a beneficiary from the index changes with a possible promotion to the FTSE 100 in this set of changes or the next. It is set to be a key beneficiary of the Crossrail project with 70% of its portfolio within 800 metres of a Crossrail station, focused around Tottenham Court Road and Farringdon. Further down the capitalisation scale, Foxtons has been promoted to the FTSE 250 index following the acquisition of FTSE 250 constituent BRIT, after a volatile period. Its share price has suffered on the back of an apparent softness in the London housing market and nervousness over the outcome of the General Election. Nevertheless, it jumped over 40% on the general election result and has stayed high. It is also likely to be good news for more niche property groups. Despite fears over high valuations, infrastructure remains popular with investors for its stability and high income. After a strong run since its IPO, John Laing is a key candidate for promotion to the FTSE 250. A key long-term trend in the All-Share has been the relative weakness of financial stocks, notably the banks. It is perhaps unsurprising, therefore, that one of the top candidate for promotion to the FTSE 100 in this reshuffle is a group that has built its business on disintermediating the banks: Provident Financial picks up where the high street banks leave off, lending to people and small businesses no longer considered viable lending prospects by the banks. Its share price is up 44% in a year and it looks well set to join the major index. Global communications group Inmarsat is the leading contender for promotion to the FTSE100 index. Analysing the composition of the FTSE All-Share index gives some explanation to this. As at the announcement date of the last annual review (4 June 2014), the composition of the FTSE All-Share Index was by value: FTSE 100 (82.2%), FTSE 250 (14.8%) and FTSE Smallcap (2.9%), with a total market value of £2,091bn. The structure of “the index has altered since then to currently (18 May 2015) sit at FTSE 100 (80.5%), FTSE 250 (16.1%) and FTSE Smallcap (3.4%) and a total market value of £2,203bn. The performance of the FTSE 250 index over this period has comprehensively beaten that of the FTSE 100 index: 12.7% for the FTSE 250, compared to 2.2% for the FTSE 100 index. This performance and the (high) level of the UK market have attracted a whole host of companies into the IPO market, particularly drawn to the sweet spot of the mid cap index. The majority of the new issues have been in the General Retailers sector. In aggregate, this has outperformed the wider index over the past 12 months (1st June 2014 – 28th May 2015). The FTSE All Share General Retailers Sector returned 16.5% (price return) compared to 4.64% from the All Share Index. However, it should be noted that many of these new issues fall firmly into the ‘new’ retail category: AO.com, for example, Pets at Home or Poundland. Conventional high street retailers continue to struggle in many cases. One of the groups vulnerable to go from the FTSE 100 in this reshuffle is Sports Direct, despite an increasingly buoyant consumer environment. Morrisons are also in this camp. Towards the end of the period, investors had started to shift away from the high quality defensives or ‘bond proxies’ towards more economically sensitive parts of the market. It will be interesting to note whether this change in sentiment can happen fast enough to save some of those companies from relegation.